The following was borrowed from the California Department of Healthcare Services web site and provides an adequate definition of SNT’s * “A Special Needs Trust (SNT) allows for a disabled person to maintain his or her eligibility for public assistance benefits, despite having assets that would otherwise make the person ineligible for those benefits. There are two types of SNTs: First Party and Third Party funded. First party SNTs are funded with assets that belong to the trust beneficiary or to which the beneficiary was legally entitled (e.g., assets from an award or settlement, etc.). These trusts must include federal and state provisions, which require notice and payback to the State upon the death of the trust beneficiary or earlier termination of the trust. The Department of Health Care Services (DHCS) is required to recover up to an amount equal to the total medical assistance paid by Medi-Cal on the trust beneficiary’s behalf. A (d)(4)(A) SNT can only be established for a disabled individual under the age of 65. A Pooled Trust can be established for a disabled individual of any age, and must be established and managed by a non-profit association. A separate account is maintained for each beneficiary, but funds are “pooled” together for investment purposes. TRUSTEE—the person who manages trust assets and administers the trust provisions. Once again, there may be two (or more) trustees acting at the same time. The grantor(s) may also be the trustee(s) in some cases. The trustee may be a professional trustee (such as a bank trust department or a lawyer), or may be a family member or trusted adviser—though it may be difficult to qualify a non-professional to serve as trustee. BENEFICIARY—the person for whose benefit the trust is established. The beneficiary of a special needs trust will usually (but not always) be disabled. While a beneficiary may also act as trustee in some types of trusts, a special needs trust beneficiary will almost never be able to act as trustee. established as irrevocable (that is, no one reserved the power to revoke the trust) or which has become irrevocable (for example, because of the death of the original grantor). their assets and income to maintain eligibility. Of course, just because a beneficiary’s benefits are not means-tested, it does not follow that the beneficiary will not benefit from the protection of a trust for other reasons. needs trust planning and administration. MEDICARE—one of the two principal health care programs operated and funded by government—in this case, the federal government. Medicare benefits are available to all those age 65 and over (provided only that they would be entitled to receive Social Security benefits if they chose to retire, whether or not they actually are retired) and those under 65 who have been receiving SSDI for at least two years. Medicare eligibility may forestall the need for or usefulness of a special needs trust. Medicare recipients without substantial assets or income may find that they have a difficult time paying for medications (which historically have not been covered by Medicare but began to be partially covered in 2004) or long-term care (which remains largely outside Medicare’s list of benefits). One of the oft overlooked aspects of a special needs trust is the creation of a Medicare Set Aside arrangement (MSA). An MSA is a projection of future Medicare costs over the lifetime of a plaintiff. This money is earmarked for future injury-related costs that would otherwise be paid for by Medicare. While there are nor set guidelines for reviewing injury suits that do not involve workers compensation, the Centers for Medicare/Medicaid Services (CMS) requires such settlements to reasonably consider Medicare’s interests and cites an MSA as the preferred method for illustrating a client’s future medical costs and their intent on considering Medicare’s interests. It’s important that an MSA be embedded within a special needs trust so that the reserved funds will not to be counted as “available resources”. Why do we need an MSA? The most common mistake in the liability and special needs arena is the failure to consider Medicare’s interest in a settlement or establishment of a trust. Failing to imbed an MSA in a special needs trust allows the MSA funds to be considered a countable resource, which can render the beneficiary ineligible for means-tested government benefits. You can protect your client’s interests further by securing MSA monies using a qualified insurance annuity (structured annuity). A structured annuity will allow for regular and timely benefits that are in most cases tax-free. Failure to consider Medicare’s interests may also open the beneficiary to Medicare recovery efforts and possible loss of Medicare benefits. In most cases involving less than $100,000, it makes sense for MSA funds to be self-administered. Medicare Set Asides involving greater amounts are likely best administered by a professional administrator or custodian. Funds can also be dispersed using a special claim payment debit card. 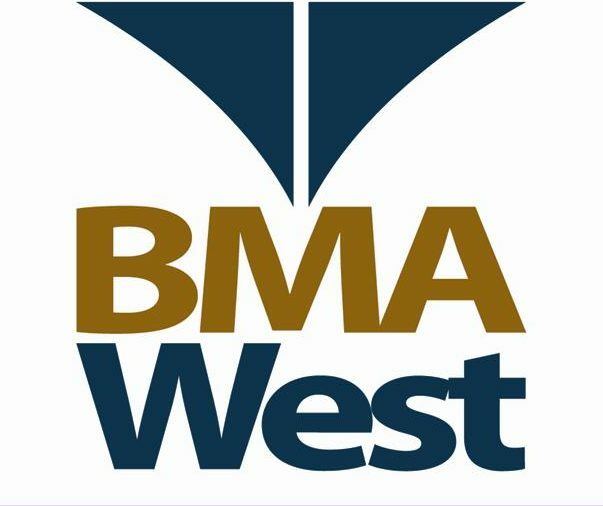 BMA West was founded in 2006 and provides expert Medicare Set Aside projections and supporting services to attorneys and their clients across the nation. A grass roots team of expert nurses and experienced insurance professionals, our purpose is to ensure the protection of the beneficiary’s Medicare benefits, while helping to simplify and secure a client’s use of future medical care monies. Feel free to call or write to discuss or refer a case! When your MSA projections comes back excessively high, you have to ask yourself … why? Here’s twelve years of CMS submission experience: The most important thing to remember is to always have your documentation ready. Denial letters; all medical records; medical payments made to the proper line of insurance; clarification of injured body parts complete with doctor opinion as to compensability and need for future treatment. I always advise that self-insured employers adopt a proactive claims adjusting model. Pursue the MSA well before the WCAB hearing in order to valuate the true value of the claim. Anticipate when Medicare will become an issue and adjust the claim toward minimizing the long term cost of the claim, rather than the immediate cost of the claim. Remember, a truly successful outcome occurs as a result of a proactive approach. Keeping the injured worker treating within the MPN will eliminate the need of sending the claimant out to an AME or QME. You see, CMS does not recognize the AME and will always base their review on the treating physician’s opinion. Feel free to call or write with questions or to schedule a time to meet. On October 20 through October 21, 2018, team BMA West will ride 100 miles from Irvine to San Diego in an effort to raise funds to continue the fight against MS! Along with over three thousand riders, the goal of this event is to raise awareness about life with MS and to raise funds to continue research and development of new treatments. Last year, the MS 150 Bay to Bay ride raised close to, if not more than, $2 million dollars! The goal is to reach $3 million in 2018! We encourage our friends and family to participate! You can volunteer to help during the weekend ride or grab a bike and start pedaling! These rides occur across the country over the course of the year and is a fun an rewarding way to give back to the community! Check out my link below! A donation would be greatly appreciated! In the Journal of Occupational and Environmental Medicine in January 2018, researchers identify the link between obesity and workplace injuries and absenteeism. Obesity is associated with sleep disorders, sleep apnea, diabetic symptoms, musculoskeletal issues, high blood pressure and depression. In a Duke University study , showed workers with a body mass index (BMI) greater than 40 filed twice the number of workers’ compensation claims as non-obese workers. A University of Texas-Austin study showed that for workers with major injuries, a higher body mass index was associated with more expensive workers’ compensation claims. That’s a lot of evidence. So, here’s some quick notes. Encouraging a healthy workplace can be as simple as offering discount coupons to the gym or offering healthier vending machine options. Ideally, a cafeteria offering healthy foods would offer tremendous benefits, but I don’t think companies have offer those types of fringe benefits in the U.S. at the present time. Instead, maybe your company’s Employee Assistance Program (EAP) can offer some options to promote a culture of good health in the workplace. Regarding workplace injuries, there’s a fine line between discrimination and reassigning or removing an employee, because they’re physically not up to the task. It’s highly important to recognize when an employee is at risk of injury or illness on the job.